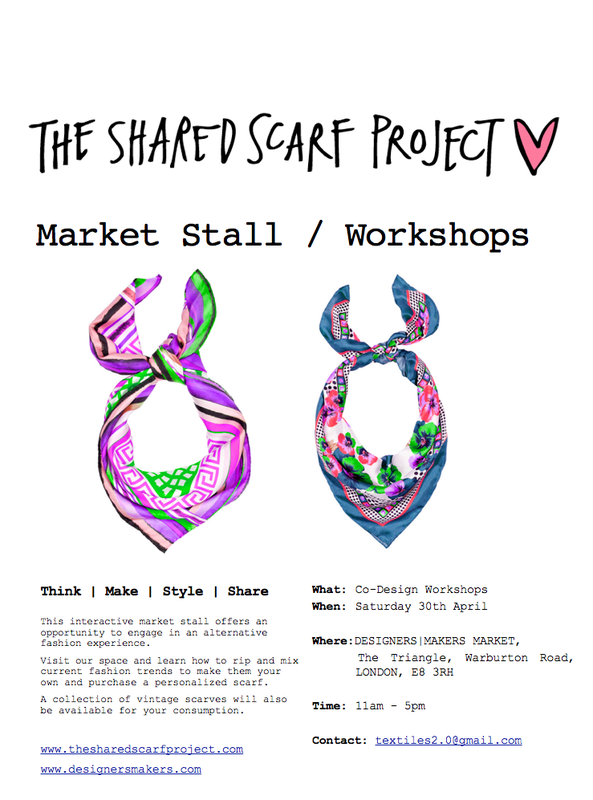 This Saturday the Shared Scarf Project will be running some DIY fashion workshops in collaboration with DESIGNERS|MAKERS Market Place. 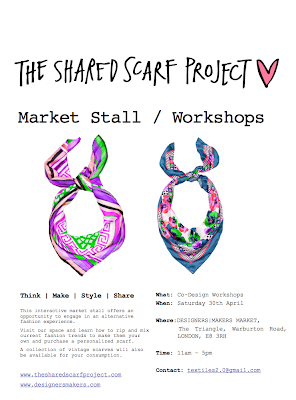 This interactive market stall will enable participants to rip and mix past and present fashion trends to make and style their own bespoke scarf. A selection of vintage scarves and The Shared Scarf Project's first "Collective Collection" will also be on sale within the market stall.